Join a rapidly evolving project! 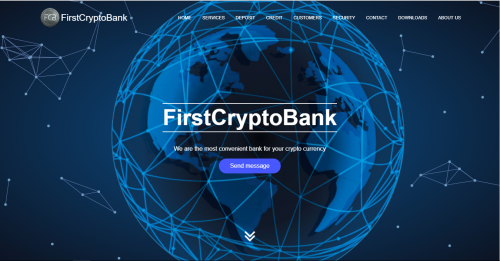 FirstCryptoBank provides unique functions for clients such as credit, deposit and loan against deposit as well as funds transfer using both PC and mobile devices. In the future, clients will be able to withdraw FCB from their accounts in fiat money. User accounts have a simple yet functional interface that is very easy to understand and, in case of any issues, you can always contact an online support operator directly from your account to solve all of your problems. 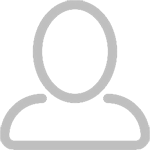 Full functionality of user accounts will be accessible from mobile devices via an app, providing our customers with the ability to work and receive information in any convenient place. FCB will support a constantly expanding list of crypto-currencies that will be viewable from your account. Clients can reach a special GOLD level, receiving special conditions for credits and deposits and acquiring access to other types of earnings with FCB. Users can view their credit scores and the amount of loan they can take in their accounts at any time. The amount of loan and client’s credit score will constantly change depending on how the client uses FCB services. Also, the amount of loan will depend on the turnover of the client’s funds in the account. If the loan is overdue, an additional interest will be added and the credit limit and credit score will be lowered until the account is closed and blacklisted. If the client does not manage to pay off the debt, it is possible to contact the operator and extend the crediting period, but the interest rate may change to the current on the day of extension and the client is obliged to pay interest on the loan on time. Clients with GOLD status can use our crediting services not only in FCB, but in other crypto-currencies that are supported. Also, they will be able to take a loan with fiat money as soon as FirstCryptoBank starts to support this feature. Interest accrued on the loan is paid only in FCB coins. GOLD accounts that took a loan in another crypto-currency pay the percentage with the crypto-currency used. Deposits will work with FCB and with any other crypto-currencies specified in the account. The interest will be fixed throughout the deposit period. The interest withdrawal will be available to users daily throughout the deposit period. The longer the deposit period, the higher the interest. Clients who took a deposit in FCB coins will receive a higher interest rate. All interest from deposits will be paid only in FCB coins. If you took a deposit in another supported crypto-currency, then the accrual and payment of interest will only be in FCB. Only users with GOLD accounts will be able to receive interest payments in the crypto-currency that they used to take the deposit. Also there is a possibility to pick up the deposit ahead of schedule on the day of the request, but on condition of full repayment of the paid interest on the deposit. FCB customers will also have the option of taking a loan against deposit in one of the supported crypto-currencies at the exchange rate. The loan will be issued directly in FCB coins as well as credit and interest refunds. Interest rates will be fixed throughout the crediting period. It is also possible to repay the loan ahead of time with interest paid only for the period used. GOLD accounts can take a loan not only in FCB but also in other crypto-currencies that are supported by the account while paying interest on the loan in FCB coins or in the crypto-currency that was used to take the loan. If you need to extend the crediting period, you can contact the operator in your account, but you must pay the interest on time in order to avoid additional interest accrued for the delay and loss of your credit rating and limit. In case of loan extension, the interest rate may change to the current on the day of extension. Loans and deposits in FCB coins will always be more profitable than in other crypto-currency! The interest rate for both the loan and the deposit may change, but it will be fixed from the moment of using any product throughout the term. FirstCryptoBank has a reserve fund which is constantly replenished from credit products, traders, mining, investment and other types of earnings therefore we can confidently guarantee timely payments to our customers. Also, our clients will always be aware of what projects we are working with and what we are investing in. There will be a news line in your accounts so you are the first to know our news.